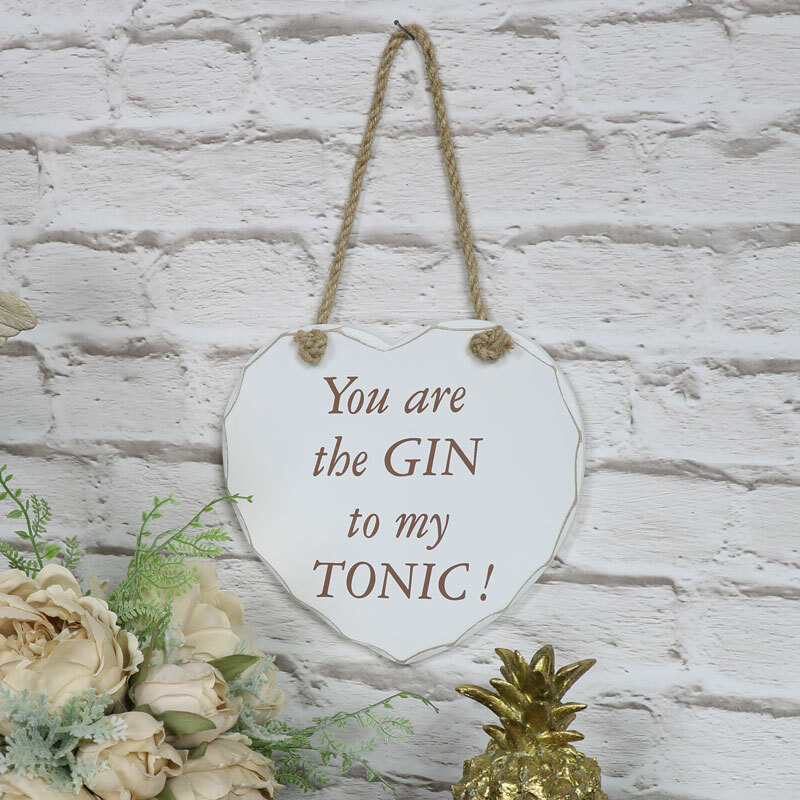 'You Are The Gin To My Tonic' Hanging Heart A cheesy lovable white wooden hanging heart, perfect gift for a loved one - You are the Gin to my tonic! Wall hanging heart made from wood with a white painted finish, ideal heart for hanging in a kitchen or for a lover of gin! 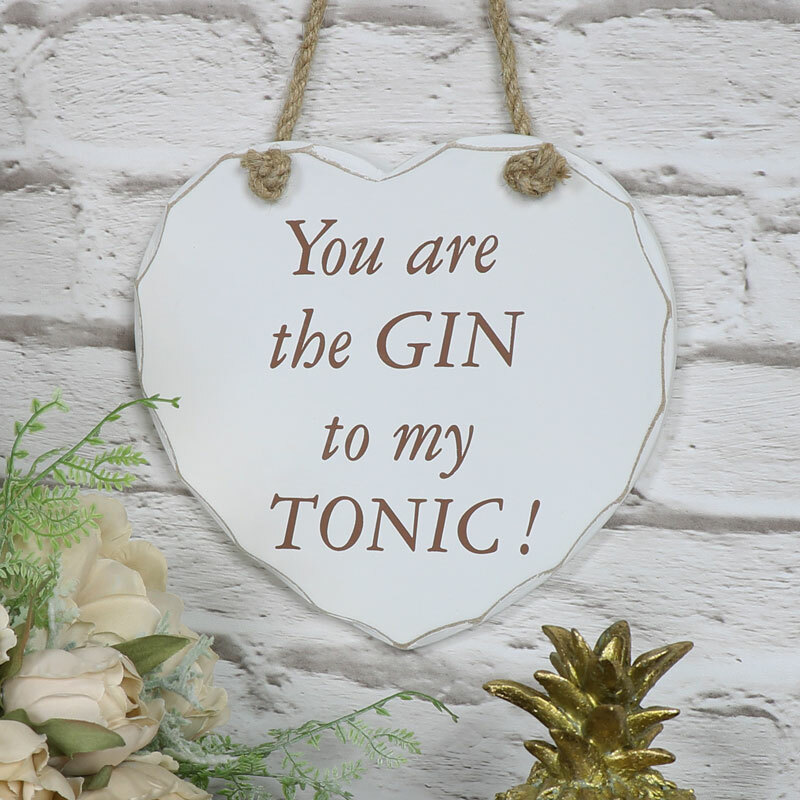 A cheesy lovable white wooden hanging heart, perfect gift for a loved one - You are the Gin to my tonic! Wall hanging heart made from wood with a white painted finish, ideal heart for hanging in a kitchen or for a lover of gin! An ideal gift for a that one you love, Gin or human! This hanging wall plaque does not need any assembly.